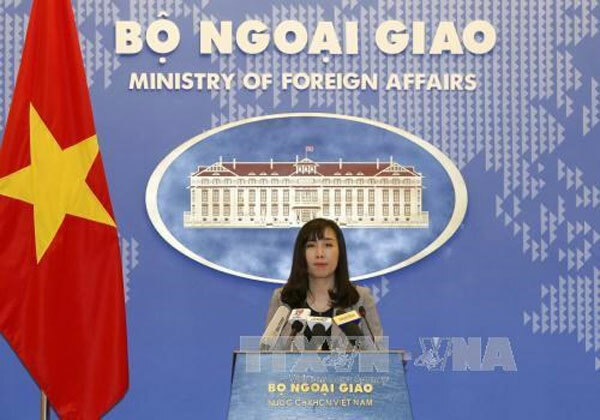 VietNamNet Bridge – Vietnam strongly condemns terrorist acts in any form and holds that such deeds must be strictly punished, Spokesperson of the Vietnamese Foreign Ministry Le Thi Thu Hang said. Hang made the statement on June 5 in response to the terror attack in London on June 3. “We would like to share these losses with the UK Government and people and families of the victims,” she said. At least seven people have been killed and 48 injured after three attackers drove a van into crowds on London Bridge and then went on a stabbing rampage in nearby Borough Market, according to media. There is so far no report on any Vietnamese citizens injured or killed in the attacks, according to the Vietnamese Embassy in the UK. The embassy affirmed that it will keep a close watch on the affairs and stand ready to apply emergency protection measures in case there are victims being Vietnamese citizens.